With a reasonable memory, nobody can possibly forget the iconic scene in Ninaithale Inikum. Dheepak (Superstar) is challenged to do 10 continuous cigarette flips in exchange for a Toyota car. If he fails to, his little finger on the right will be readily amputated. I wish smoking cigarette comes with an even more painful disclaimer like this than being advertised as something that could cause slow death. Starting with Sivaji Ganesan's flawless style and authority over smoking in the film Puthiya Paravai intimidating Humphrey Bogart himself, the phenomenal actor showed a different style in the film Gouravam using the pipe. With MGR having his share of the bad habit (on screen), it was numero uno Superstar Rajinikanth followed by a number of heroes who utilized the process of smoking to catapult their status. Statistics show that, 52% percent of children take the first puff because of the celebrities. Thanks to TCA (Tobacco Control Act), lot of restrictions and limitations on requesting actors and filmmakers to remove smoking scenes have considerably reduced the impact on the general public. With no concrete evidence on who lighted the stick and allowed it to smoulder for the first time in a Tamil film, story-writers and directors prefer to attribute the routine of smoking to the villains and heroes as part of a character sketch. In the due course of time, films demanded situations to add the smoking part for the enacting of a scene to emphasize the coolness the individual possesses before bringing the roof down or killing 100 odd people. Heroes smoked in very important junctures of a story either to settle down or take the time to enumerate a punch dialogue or have a controlled outburst of emotions. To specify, Rajinikanth in the film Maapillai lights a cigarette just by looking at the matchstick and evades the group of baddies who are shell-shocked witnessing such a feat. Even the posters of the film had Rajini effortlessly holding the cigarette at the tip of his lower-lip. Rajini said, he did it by wetting the lips. Having patronized fans by the mere act of stylishly smoking tobacco, the sales dropped by a margin when the matinee idol gave up smoking on screen. Superstar should be appreciated for aptly giving up smoking onscreen when he realized the possible influence on his fans. Rajini giving up smoking didn't make him look less stylish either, did it? When contemporaries like Prabhu, Karthik and Satyaraj tried their hands by using a smoke to accentuate their fashion quotient, Kamal's tribal way of smoking a cigarette by completely concealing it with the hand in Salangai Oli was a new thing to see. Vivek's stint with the stick in Kadhal Mannan is also a noteworthy effort. Before talking about the recent times, let's dedicate one paragraph to the Superstar again. The mass-actor has done lengthy dialogues with the coffin nail in his mouth before coming to the most significant portion of a conversation, has voiced for songs and has fought the villains without dropping the cigarette. With almost every film of the style icon having a smoking scene, films like Polladhavan, Pedarayadu (Nattamai in Telugu) and Rajathi Raja brought the different gimmicks a smoker can do. In Annamalai, Rajini and just the smoke fuming all over the screen with Deva's BGM could grab the attention of even a child. Be it a beedi (Indian cigarette), a cigar or an imported cigarette, Rajini owned the copyrights and remained the brand ambassador till Baba. 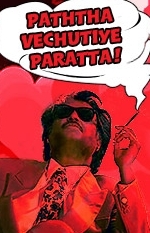 If Rajini lights a cigarette and walks in slow-motion, that'll be the most cheer evoking scene ever. Rajini not just sensationalized the act of smoking but also improvised on how a cigarette can be put to the mouth, how it can be lighted, shaking off the buds or even putting it off. From rolling the cigarette to the sides to taking it inside the mouth and bringing it out, Rajini has done it all. One particular sequence in Padayappa where Rajini walks and lights the matchstick by the frictional movement of the matchbox against the stick was tricks at their best. But in films like Baasha, Thalapathy, Chandramukhi and Sivaji, Rajini proved he needn't necessarily smoke on screen to create the glamour. Coming to the Ajith, Vijay, Suriya, Vikram lot, each of them has used the magical stick now and then to make a statement. Ajith might have done it in films like Amarkalam, Red, Attagasam and Asal, but Mankatha will remain an all-time favourite. Since the Arrambam days, Ajith also has stopped doing it onscreen. When it comes to Vijay, Thirumalai forever will be the most memorable film with Vijay taking the cigarette off his collar. Thuppaki's poster had Vijay smoking a cigar and activists made sure it was removed. Suriya's Kaaka Kaaka and Vikram's Sethu had brief moments of smoking, Simbu and Dhanush had their times too. All the heroes do it at some point of time in their career and then later give it up. Other than an actor smoking, it is also the work of the cameraman, the music director and the director's touch to enunciate the scenario. Having said so much about the advent of smoking in Tamil cinema, does the disclaimer or the hero smoking onscreen encourage or stop a lad from smoking? I see audience literally mocking by saying 'Ellaa engalukkum theriyum da' when the warning comes at the bottom of the screen. If smoking onscreen is an issue to be addressed, I would hereby declare that, every actor who wants to be a mass-hero will want the help of a small cylinder of finely cut tobacco leaves rolled in a thin paper to realize his dream at the cost of health. Watch it before you die - Mad Max Fury Road ! For the love of Jyothika! 99 Days of Ilayathalapathy Vijay's Kaththi ! Marriages are made in HELL too!! Remove music from my life, I'm nothing- Declares Shruthi !